BEST PART ABOUT WORKING FOR 4-H: Collaborating with a passionate and hard-working group of individuals on the staff and board team, developing new programs, and having the opportunity to see young 4-H’ers learn and do. HISTORY WITH 4-H: Member of the Grandora Light Horse 4-H Club for 11 years. 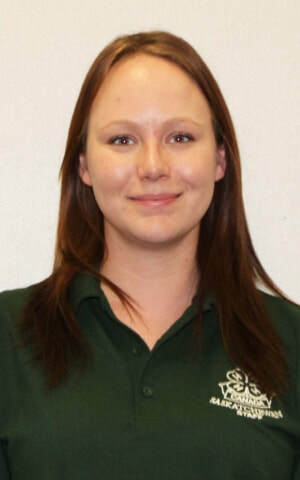 Highlights of her time as a member include being delegated to represent Saskatchewan at the National 4-H Member's Conference in Toronto and as part of Team Saskatchewan Hippology at the 10th Anniversary Alberta 4-H Horse Classic. 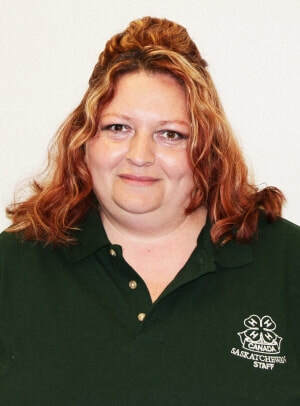 Including her time as a 4-H staff member, Cera been involved in 4-H for more than half of her life! CRAZIEST JOB(S): Two summers extracting honey at a bee farm and teaching English in China and France. HOMETOWN: Born and raised in Perdue, Saskatchewan and reside there still with my husband. BEST PART ABOUT WORKING FOR 4-H: I believe whole heartedly in what 4-H can do for not only kids, but adults as well. 4-H brings families and communities together and holds on to a value system that many don’t have the opportunity to experience today. HISTORY WITH 4-H: I was a 4-H member for 10 years with the Catherwood Multiple 4-H Club and participated in everything offered. CHILDREN/PETS: We have 4 children, ages 7, 11, 14 and 19 as well as our dog; Duchess and cats; Diva and Bodie.